Pavilion 3 is located on the North side of the park. 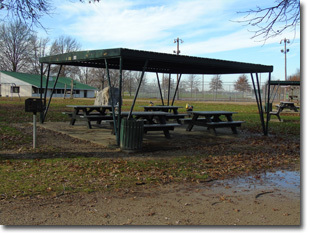 The pavilion has 4 picnic tables, a grill and electricity. The size is 21' X 22', it is right next to a playground and restrooms.